Dr.Omid Panahi , Graduated from Centro Escolar University on 2013 in field of Doctor of Dental Mediciene( DMD), and MSc Oral and maxillofacial surgery at yeditepe university, Istanbul, turkey. He haspublished more than 40 papers in reputed journals and has been serving as an editorial board member of isi journals. oral surgery, oral implant, Regenerative dentistry. Graduated in DMD 1994 from faculty of medicine, Tel-Aviv university. Postgraduate in endodontic specialist course 1994-2000. Chairman and Assistant Profesor of Endodontic and Dental Trauma Department, Director of Post-Graduate Program in Endodontics in Rambam hospital. Assistant Profesor in faculty of medicine, Technion.Member of the Endodontic Specialty Committee, Scientific Council. 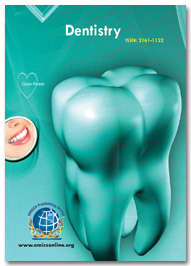 Author of more than 70 international scientific articles in dentistry. 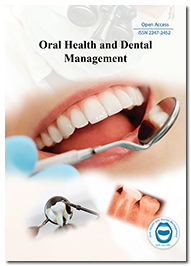 Dental traumatology – epidemiology, treatment and prevention of dental trauma. 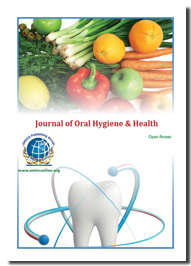 Bacterial infection – influence of disinfection and medicine on root canal and dentinal tubules. Oral surgery – preventive medicine in oral surgery and avoidance of unnecessary short- and long-term complications. Passionate about his profession, he defends an approach to high quality of the denture. After a scientific tray, he obtained a certificate of mastery at the higher National Institute of crafts continued his training in Germany and then creates the DENTAL-TECHNIQUE-BERGER laboratory in 1989. The laboratory has become Master Lab VITA develops dentures in the fields of ceramics, combined work, implantology. For each case the close collaboration between the dentist and the prosthetist has proved to be an unconditional quality factor. Studies of the various techniques of dental ceramic (ceramic-metal, ceramic pressed, computer aided design) have led the laboratory for the creation of a unique ceramic. Since 2006, trainer for the SIRONA company laboratory was the first in France to test and approve the SIRONA CONNECT system. Colorimetry and search for individualization of each case final studies resulted in a specific Concept Art and dental ceramics. Dr. Mohamad El-Moheb is a Dental surgeon & Private Practice Principal. He has more than 17 years of experience in dentistry, with specific interests in the fields of Implantology, Periodontology, and Oral Surgery He is the President of the International Group for Oral Rehabilitation (IGOR), as well as a regular and active speaker in Toulouse University, France, and many international congresses Since 2010, he has been a researcher and developer of Mineralized Plasmatic Matrix (MPM) which is a pioneering technique in Implantology Biomaterial science He is an active researcher and has published several papers in the field of Dental Implantology He has extensive experience in all aspects of dentistry spanning more than 17 years, in a variety of settings. Dr. El-moheb has had experience managing challenging cases and treatments to a high level of expertise and skill, as well as continued to further his education in the fields of Oral Surgery, Periodontology, & Dental Implantology while running his private practice. Dr. Basma Ezzat Mustafa is the head of research in the faculty of dentistry in international Islamic university Malaysia she started working there since 2009 in both academic and research fields, in research she is doing her researches in the field of pharmacology, microbiology and immunology in relation to oral health in addition to several researches in the field of natural product. Dr. Basma has 15 years of experience in this field. Her current interest is the pharmacological ,microbiological and immunological response of the use of different natural products during different pathological conditions in addition to the changes in cell viability and gene expression. She started her research in studying the response of the bacteria and fungi to different dental materials from different aspects microbiological, immunological and histopathological, since 2012 she started her researches on investigating the effect of different natural products in relation to microbiological, immunological, histopathological and immunohistochemical aspects. Graduated in 1989 Bachelor of Dental Surgery,post graduate diploma in Gerodontology and Geriatrics in 1993 and Masters in Gerodontology and Geriatrics in 2003 from the University of Malta .Inducted fellow of FICD in 2016. Founder member of the Maltese Association of Geriatrics and Gerodontology. Past president of the European College of Gerodontology ECG 2016/17.Visiting lecturer at University of Malta and responsible for the teaching of Gerodontology. Author of the children’s book Id-dentatura tan-nanna. (Grandma’s dentures). Dr. Bryon Ong received his BDS degree from University of Malaya (Malaysia) in 2008. He completed his Advanced Endodontic Program at the University of Pennsylvania (USA) in 2013 and received both the best Preclinical and Clinical Teaching Awards for the Predoctoral Endodontic Program; and also the Outstanding Teaching Awards in Microendodontics & Endodontic Microsurgery. Dr. Ong was awarded his Fellowship in the Royal College of Dentist of Canada in the specialty of Endodontics in 2014 and he earned the Diplomate status from the American Board of Endodontics in 2015. Dr. Ong is currently maintains a private practice limited to Endodontics in Kuala Lumpur. In addition, he is teaching at MAHSA University as a Part-Time Clinical Instructor. Dr. Ferguson is Professor of Orthodontics and Dean, European University College at Dubai Healthcare City, United Arab Emirates. He is formerly Professor and Chair of Orthodontics at Boston University and has held the positions of Executive Director, Center for Advanced Dental Education and Associate Dean for Dental Education, Saint Louis University, and Chair of Orthodontics and Director, Advanced Orthodontic Training Program, Marquette University. Dr. Ferguson is a diplomate of the American Board of Orthodontics (ABO) and past president of the EH Angle Society, Midwest Component. He served as a senior Fulbright scholar (a US national scholar award) at Alexandria University, Egypt, and has lectured extensively at university, regional, national and international forums. He received all of his professional dental degrees in the USA. Research interests include accelerated tooth movement. He has authored over 100 articles and abstracts for professional journals and publications as well as contributed chapters to several textbooks. Les Kalman is an assistant professor in restorative dentistry and Chair of the DOCS program at the Schulich School of Medicine & Dentistry at Western University. The Dental Outreach Community Service (DOCS) program is a component of the senior dental curriculum that provides free dentistry to those with no other economic means. Kalman’s research focus includes medical devices & technologies relevant to clinical dentistry, with the intent of short-term industry translation. He has developed and translated what is now the Max Align, available through Whip Mix. He is also the founder and President of Research Driven, a corporation that manages intellectual property related to medical device technology. Kalman has authored articles ranging from pediatric impression to immediate implant surgery in Canadian and International journals. He is a member of the ITI, AO, AAID and the ICOI. He has been recognized as an Academic Associate Fellow (AAID), Fellow, Master and Diplomate (ICOI) and will be receiving the Schulich Alumni of Distinction Award in October. In his spare time, Kalman enjoys photography as an accredited MotoGP photojournalist. Jylan F. ELGuindy After graduating from Cairo University, Faculty of Oral and Dental Medicine, ranking the 5th of class 1989 out of 380 students , Dr. Jylan was awarded to be a resident in Fixed Prosthodontics department, accomplished the master degree ( 1995) then achieved her Doctor Degree in 2000 . Eventually, she posted the following positions "Lecturer, Associate Professor, and finally Professor of Fixed Prosthodontics since 2012. Dr.Jylan is dedicated to continuous education programs , attended at Harvard School of Dental Medicine Continuing Education Course 2013 Boston, MA. Professor Jylan is the course director for the Esthetic course and Master degree program of Fixed Prosthodontics. She posted as a vice dean for postgraduate affairs at 6th October university (2014-2016). She is a current member of; Central committee of master degree protocols, Student Affair Committee, Infection Control Committee, and Member of international Association of Dental Research IADR. She was selected as a poster session chair in IADR 2010 in Washington D.C. Dr.Jylan is the co-director of quality assurance unit of the faculty of Oral and Dental Medicine, Cairo University, an accredited reviewer in the National Association of the Quality Assurance and accreditation of Arab republic of Egypt. She was elected as a member in the higher committee of the Egyptian Dental Syndicate 2016. Dr. jylan is totally convinced to continuously support the dental students, she is the leader of the Egyptian Association of Dental students and the Cairo Scientific Association Of Dental Students. International publications of Dr. Jylan are still her remarkable goals. Sue Sandles has over 40 years experience in the dental industry as a Dental Representative and Practice Manager in both the public and private sectors. She has been a guest speaker at dental seminars throughout Australia . Sue has also completed a sterilisation course at Mayfield Education Victoria. Sue is currently teaching Certificate III in Dental Assisting. Professor Mahmoud AL-Omiri is a Professor at University of Jordan; Senior Consultant at Jordan University Hospital; Associate fellow at Warwick University, UK; Advisory team member of DoooX Dentistry et all, DooIT GmbH, Germany; President of the Jordanian Society of Prosthodontics; member of the University Council at University of Jordan; member of the executive committee of the Jordanian Council of Implantology; past Head of the Department of Prosthodontics at University of Jordan; past part-time teacher of Head and Neck Dissecting Anatomy, Queen’s University Belfast; past President of the International Association for Dental Research-Jordan section; past Treasurer of the Jordanian Group of Implantology; past Head of Academic and Student Counseling Unit at Aljouf University-KSA. Professor AL-Omiri is on 3 specialist lists of the Jordanian Dental Association and Jordan Medical Council; he is Fully registered member of multiple international associations and professional bodies such as British General Dental Council, Dental Council of Ireland, BSSPD, IADFE, JDA, and others. Prof AL-Omiri has more than 50 published scientific articles in refereed and indexed international journals; he served as Editor for the International Journal of Medicine and Medical Sciences & the International Journal of Psychology and Counseling; Associate editor for the Journal of Dentistry and Oral Hygiene; Section Editor for the Journal of Jordanian Dental Association; Guest Lead Editor for International Journal of Dentistry; Editorial board member of Journal of Contemporary dental Practice, Pan Arab Medical Journal, Journal of Jordanian Dental Association, and Dirasat: Pure science Journal. He is Reviewer for International peer reviewed and indexed Journals such as Clinical Implant Dentistry and Related Research, International Journal of Oral and Maxillofacial Implants (JOMI), Oral Diseases journal, Journal of Oral Pathology and Medicine, Journal of Oral Implantology, Quintessence International journal, Gerodontology journal, Angle Orthodontist journal, Oral Health and Preventive Dentistry journal, Journal of Dental Education, European Journal of Orthodontics, European Journal of Paediatric Dentistry, BMC Oral Health journal, Journal of Contemporary Dental Practice, and others. He is involved in several research projects into Implantology, Oral health behaviour and dental attitudes, Satisfaction and personality, Tooth wear, Prosthodontics, Ceramics & Colour Science, Sleep Apnoea, Aesthetic dentistry, and others. Prof AL-Omiri is an invited speaker to a number of national and international conferences and scientific meetings. He has presented seminars, lectures, continuing education programmes and courses in Implantology, Prosthodontics, and Esthetic Dentistry. Implantology, Oral health behaviour and dental attitudes, Satisfaction and personality, Tooth wear, Prosthodontics, Ceramics & Colour Science, Sleep Apnoea, Aesthetic dentistry, and others. Dr. Park is a Professor and Chair of the Postgraduate Orthodontic Program at the Arizona School of Dentistry and Oral Health. He is a Diplomate of the American Board of Orthodontics. Dr. Park has received several awards for scientific and clinical excellence including the Charley Schultz Award and the Joseph E. Johnson Award from the American Association of Orthodontists. Since 2008, he has published more than 130 scientific and clinical articles in peer-reviewed orthodontic and dental journals and 2 books. He also lectures nationally and internationally. He is currently editor-in-chief of the Pacific Coast Society of Orthodotnists. Dr. Kenji Takada is Japanese-born and grew up in a city 10 miles west of Osaka. He received his D.D.S. and Ph. D. degrees (Dental Science) from Osaka University in 1973 and 1981, respectively. After serving as a junior investigator and later a clinician at Osaka University Dental Hospital, he joined the Osaka University faculty in 1980 and was dispatched to the University of British Columbia from 1981 to 1983 as a Visiting Assistant Professor at national expense. Since 1996, he has served as Professor and Chairman of the Department of Orthodontics and Dentofacial Orthopedics in the Graduate School of Dentistry at Osaka University, a top school in the Japanese hierarchy of universities. From 2005 to 2007, he served as Dean of the School of Dentistry and of the Graduate School of Dentistry at Osaka University, serving as a Board Member of the Management Council at Osaka University until March 2007. He served as a Board Member of the University’s International Relations Office from 2007 to 2010. He has also served as board member on two cardinal councils of the national government, the Medical Ethics Council from 2001 to 2013 and the Council for University Chartering and School Juridical Person from 2007 to 2010, both of which exercise strong administrative powers in dental education and the practice of dental medicine in Japan. In the beginning of July 2012, he honorably left Osaka University and moved to the Faculty of Dentistry at National University of Singapore from which he had been offered a position of a Visiting Professor. At the same time, he was granted a title of Professor Emeritus from Osaka University to his distinguished achievements. From the 1st of July, 2013, he has been promoted to a full Professor in the Faculty of Dentistry at NUS. Dr Pattama CHAILERTVANITKUL has received her DDS from Mahidol University, Thailand, PhD in Endodontics from University of Glasgow, United Kingdom, PostDoctorate Training from The University of Western Australia and Fellow of the Royal College of Dental Surgeons of Thailand (Endodontics). Currently, she is working as Associate Professor in Department of Restorative Dentistry, Faculty of Dentistry, Khon Kaen Univeristy in Thailand. She is now the director of the Master of Science program in Restorative Dentistry, Faculty of Dentistry, Khon Kaen University. She has published more than 20 articles in refereed journals. She was the Chief-editor of Khon Kaen University Dental Journal. She serves on Editorial Boards of Journal of The Endodontic Society of Thailand. She is now a member of Thai Dental Council and American Association of Endodontists. Dr. Cao Tong is currently working as Tenured Associate Professor, Faculty of Dentistry, NUHS & NUS. He is also the Principal Investigator, Cranio-Maxillofacial Group, NUS Tissue Engineering Program.